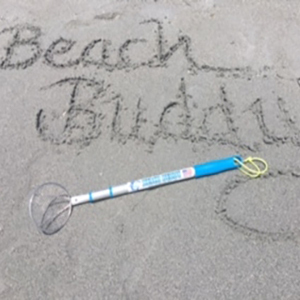 The 7″ Shark Tooth Ocean Sifter is perfect for kids! 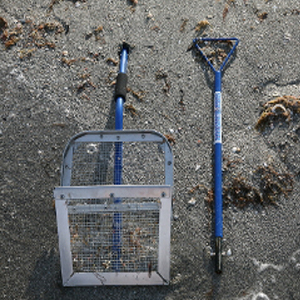 This lightweight sifter features 2 handles, an attached jar to hold your finds, a 18″ lanyard, includes a wrist lanyard, carabiner clip and a shark tooth identification sticker on the handle, made with 1/2 pvc pipe, 1/4″ galvanized mesh and a variety of bright colors!I It also offers a 7″ sifting area. 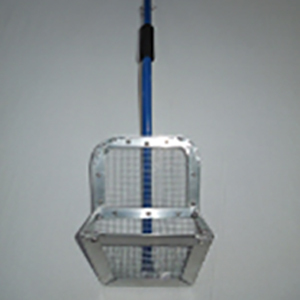 Our nylon ties are cut leaving no sharp edges with a special tool we created. 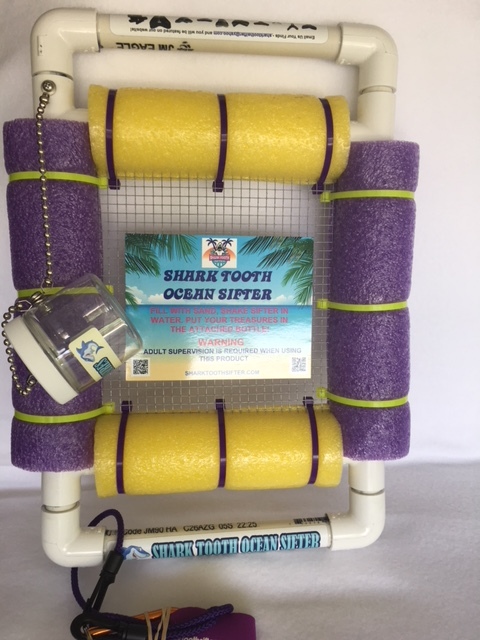 The Shark Tooth Ocean Sifter can be used with our Shark Tooth Sifter or sand flea rake.